Today, I know that the quality of our skin can be influenced as much by what we put inside our body, that what we apply to its surface. 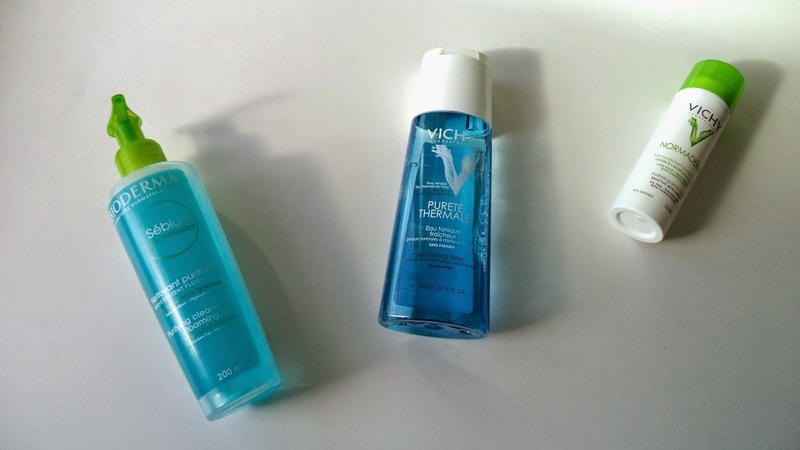 So, I try to have a balanced routine, with quality products, suitable for my skin (combination, and sometimes sensitive) and most important, I try to stick to it! With an oily skin, I always tended to use drying products, alcohol based. Big mistake! When you attack your skin, it will tend to produce more sebum for protection. It’s better to pamper it with gentle products, like those for sensitive skin, to regulate the sebum secretion. First step in the morning, I tie my hair up and I clean my face. 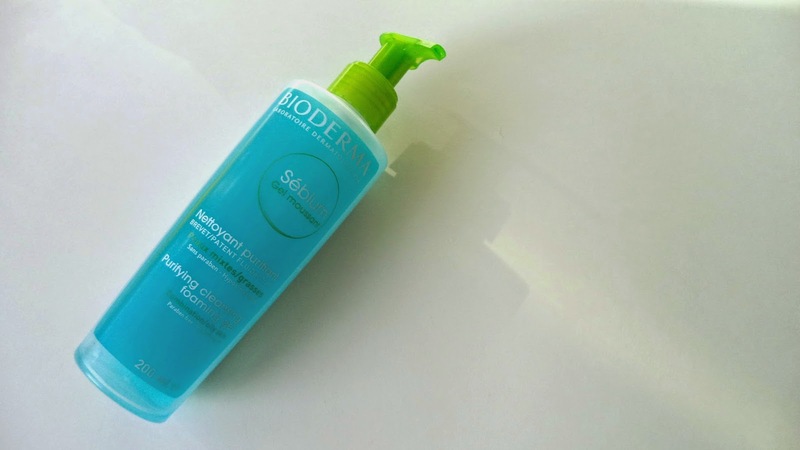 The cleanser I use is the Purifying Cleansing Foaming Gel Sebium from Bioderma. I like it because it’s very soft on the skin. Although it’s described as purifying, it doesn’t dry your skin. 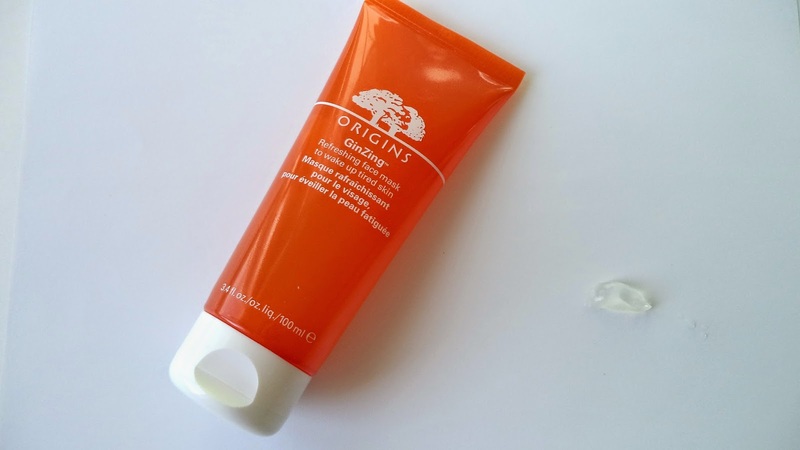 Sometimes, when my face looks a bit dull, I use the Origins Ginzing Refreshing Face Mask, just to makes me look more awake. If you need some tips to look like a reel human when you didn't slept enough, read this post. Second step, I apply a toner. 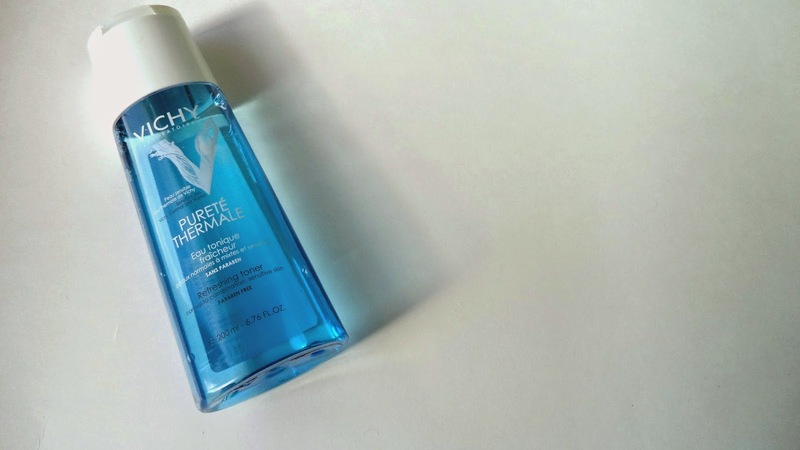 The one I use is the Refreshing Toner Pureté Thermale of Vichy, for normal to combination skin and sensitive. 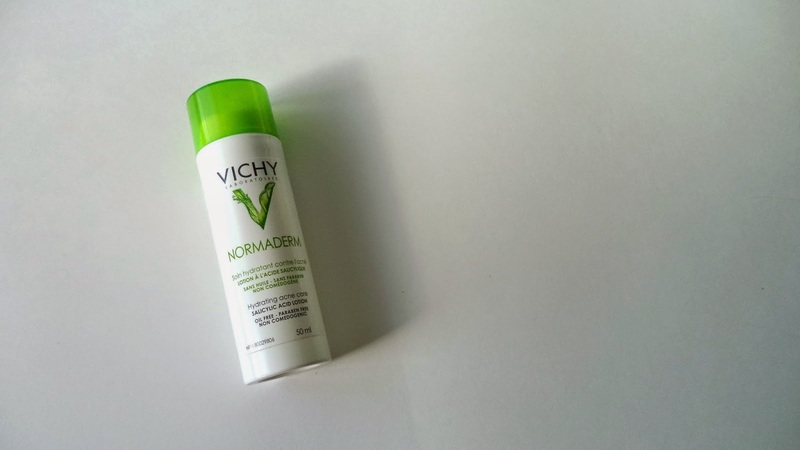 It’s not a miracle product, but after that, my skin feels really refreshed and soft. Et Voilà! My skin is now ready for makeup! As you may have noticed, I try to keep my routine as simple as possible. However, time flies (yes, there is no exception…), and I’m thinking about adding a serum and an eye cream.